The Open Forum is your domain for anything and everything. Whatever you feel is inappropriate to discuss in other threads, you can discuss here. 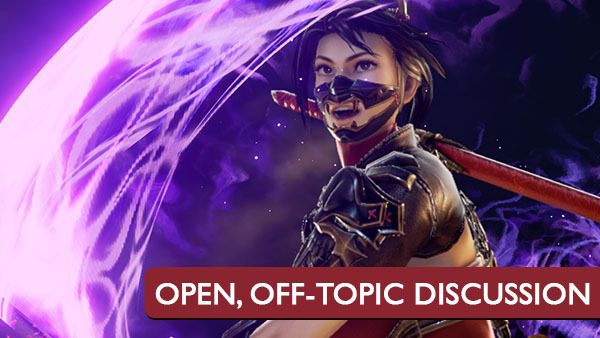 Want to talk about Warriors Orochi 4? Or maybe The Dark Souls Trilogy? Or Soulcalibur VI? You’re in the right place. Have a random question? Ask it here. Want to poll the community? Do it here. The Open Forum is what you make it.